There are two series of Pinot Noir reviewed here. The Sta. Rita Hills and Star. Rita Hills Barrel Select bottling are sourced from the Foley Estate Rancho Santa Rosa Vineyard. A south-facing hillside location that climbs from 500 to 1,000 feet above sea level, with vines planted in marine-based soils. The climate is consistently cool due to moist ocean breezes that sweep through the property daily. The vineyard is farmed with the attention usually associated with much smaller properties. 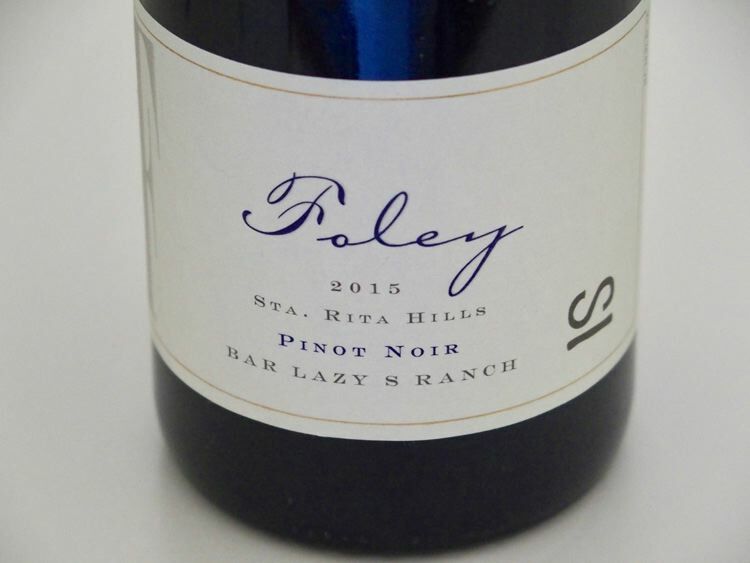 The Brand Series of Pinot Noir honors the relatives of vintner Bill Foley who settled the Texas Panhandle in the 1840s as ranchers, cattlemen and Texas Rangers. These wines combine noteworthy barrels from superior sites within the Foley collection of estate vineyards and are meant to unveil a unique facet or interpretation of a designated variety. 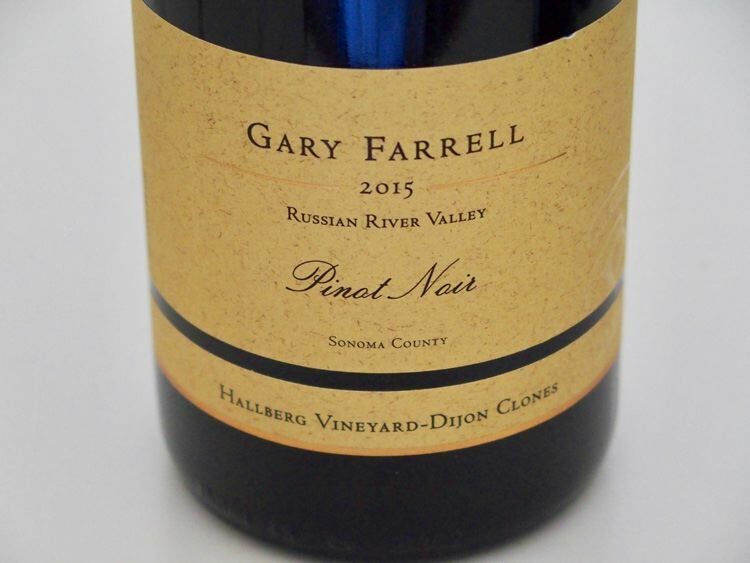 My 2016 Winery of the Year, Gary Farrell wines are stylistically unique in that they are largely natural acid-driven wines that shun significant oak intervention and appeal to those who like freshness. This style was never more evident than in the 2015 vintage. The 2015 Chardonnays and Pinot Noir were a bit less ripe and rich than the 2014 Chardonnays and Pinot Noir such that the wines show more racy acidity and leanness. As a result, there are a little high-strung but should age extremely well. Theresa told me, “I think the wines can be appreciated for many years to come. they’re definitely too young to drink now though.” I much preferred the 2014 vintage wines but that is a personal preference. Visit www.garyfarrellwinery.com. A small, of-the-grid winery in Humboldt County located on a ridge top between the north and south forks of the Eel River above Humboldt Redwoods State Park. 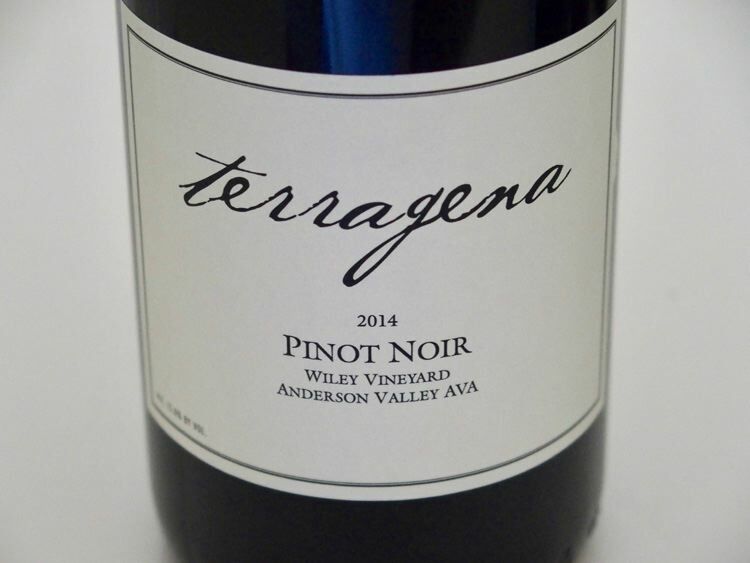 Terragena is a latin word meaning “born of the earth.” Owner and winemaker Chris Buchanan began his winemaking career working with Derek Rohiffs of Bravium Winery. The winery’s focus is Pinot Noir. The wines are elegant styled with lower alcohols. Visit www.terragenavineyard.com. The Two Sisters are named after Bill and Carol Foley’s daughters, Lindsay and Courtney. The wines come from the best blocks of Pinot Noir and Chardonnay in Lindsay’s and Courtney’s vineyards in the Sta. Rita Hills AVA. These limited-production bottling feature heritage, heirloom and select clones chose for their compatibility with the terroir of each vineyard block. 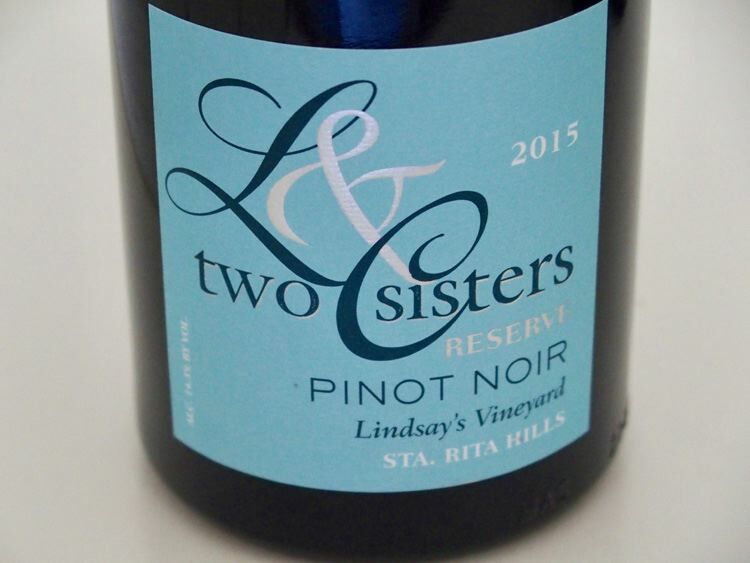 Vinted and bottled by Two Sisters, Los Olivos, CA. Visit www.foleyfamilywines.com.